Celebrate with us our harvest of impressive pumpkins! We will spend the morning designing and carving up the pumpkins whilst food is being prepared in the kitchen. Lunch will be served at 12 noon. You will be able to taste a variety of foods with pumpkin in it! There is a suggested donation of £2 per pumpkin that you wish to carve. Register interest in attending by emailing us at [email protected] and we will reserve you a pumpkin! We have got ourselves a pitch at this year's Ashtead Village Day celebrations! Come and pick out a lovely hanging basket or enter our fantastic raffle to win a team of gardeners for three hours! The Swan Centre Shopping Centre in Leatherhead Town Centre needs our help! We will be tending the flower beds in the Leatherhead's Shopping Centre Car Park. They have been empty for quite a while now and we thought it would be nice to plant out these beds and make Leatherhead look better.These planters may also be seen on TV as the cycle route goes straight pass them! STAGE 2 - Plant 250 plants to brighten the place up! We are hoping that refreshments will be served in the Car Park!!!! Therfield school hosted an Olympic Fete involving the Leatherhead and Ashtead Confederation of schools. Ten schools in total came together to provide entertainment, food and stalls for families to come and enjoy. We were allowed to have a stall and sold our flower pots and hanging baskets. There was also a chance in our raffle to win a team of gardeners for your home. Three hours labour for £1 a ticket! We will be tending the flower beds in the Leatherhead's Shopping Centre Car Park. They have been empty for quite a while now and we thought it would be nice to plant out these beds and make Leather...head look better.These planters may also be seen on TV as the cycle route goes straight pass them! Join our partner school in a fun day of Garden Learning! We will be planting, raking and preparing the planting beds outside the Learning Cabin. There will also be a construction job for anyone interested!!! Bean pole teepees will be made on the day ready for the climbing beans. FREE BBQ AFTER ALL THE LEARNING IS DONE!!!!!! It is finally the season to plant our fruit plants! Come down and help us plant our fruit cage. Lots of raspberry and blackberry bushes to go in! Read more here. Join us in planting out our orchard! Plenty of fruit trees to plant and tea and biscuits will be provided! Read more here. 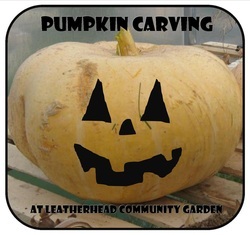 Enter our first Recycled Scarecrow Building competition at Leatherhead Community Garden! We are encouraging all local schools, businesses, community groups and families (or even a bunch of friends!) to take up our challenge and let their creative skills create some eye catching entries. Read more here. You then have until the 25th February 2012 to make your Scarecrow! Come along and make a yummy bird feeder for our Garden birds! At this time of year our birds need all the help they can get, so join us and make an energy packed treat for our feathered friends. Join us for some spooktacular pumpkin carving in the Garden on the last Saturday of October! Get creative on our home grown GIANT pumpkins then enjoy the warming pumpkin soup we will be making on site! Leatherhead Community Garden will be represented at the Festival of Crafts at Farnham Maltings. 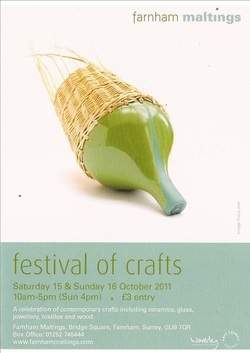 It is their 15th annual festival of crafts, with over 75 leading designer makers showcasing bespoke and beautiful work. Contemporary crafts on show will include ceramics, textiles, glass, metal, jewellery and wood created by skilled and talented British and international craft makers will be present. For more information, please call Farnham Maltings box office on: 01252 745444 or look at their website. Directions to Farnham Maltings can be found here. Leatherhead Community Garden and Making Surrey will be taking over an empty shop on the High Street as part of the Arts Alive Street Party. 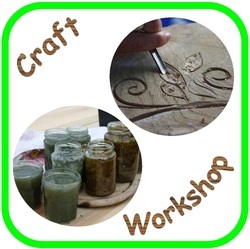 We will be promoting the work we have done and showing off all the wood work from the garden. Arts Alive returns this October for a fifteenth year and will be as full of life and variety as ever. The festival starts with a bang with street parties in Dorking and Leatherhead on Saturday 1 October in the town centres. During the day there will be performances by local artists and art groups, with bands, music and dance. As we come to the end of summer and a very successsful partnership with the Making Surrey Project, we would like to invite you all to celebrate the work we have achieved with Ruth Wheeler. Wander around the garden & take in the beautiful sculpting and willow weaving. Lots to get involved with this week! Learn a new skill this summer! Meet Ruth Wheeler, local sculptor, who will be teaching us. What a fantastic turn out for our this event! Ruth Wheeler helped us carve the sleepers into seats. She also refined our designs and let us use power tools! We all learnt a new skill - some perfected it more than others! 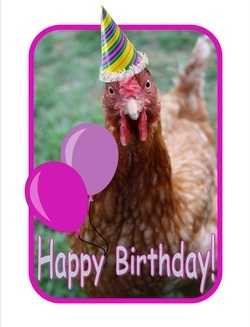 But everyone had a great time. Great fun was had by all as Simon set up a disco inside the Polytunnel! It was a very chilled and relaxed evening where friends and family could come along to see what we had been spending our Saturdays doing.